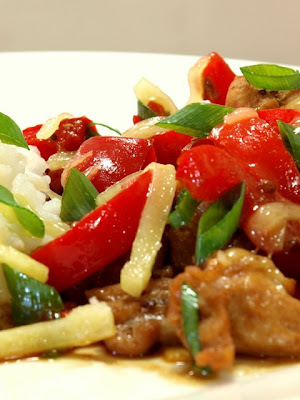 This is recipe for coriander chicken, Indonesian with a slight touch of Western style food. Chicken was diced and fried on a pan with frying oil and coriander was added. Diced red capsicum and all other ingredients were mixed soon after. Cooking time was around 15 minutes. For topping, prepare tasty cheese and shreded shallot at convinience. has been accepted for POSTER PRESENTATION at the 10th International Conference on AD/PD, which will take place in Barcelona, on March 9 - 13, 2011. We were talking about Aboriginal Medicine in Australia. It is all started from curiosity during our morning coffee. That coffee time is not only a relaxing and interaction time, but it is also a very effective way to start and extend collaborative works. In collaboration with A/Prof Syed Ziaur Rahman (primary author) and Dr Paul Hysen (via correspondent communication), we exchanged information and composed general ideas of medicinal practice in Aborigines. 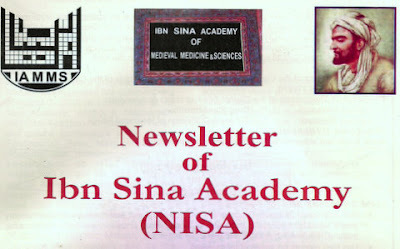 Further, based on that information, an article was published by primary author in Newsletter of Ibn Sina Academy (NISA) vol 10 no 4 issue 39, Oct-Dec 2010. (1) Based on a famous book of Ngangkari, a glossary of terminologies in Aboriginal healing practice is obtained. (2) Ngangkari is a healer in Aborigin community,possessing abilities to heal people and believing in the connection of illness and death with spirits. I love animals living in an open area, not trapped in small cage. Sharing the beauty of animals in public domain is considered as an important education to our society. For example, during my morning tea (in fact I had a cuppa choc), they came and seemed asking me for giving them breakfast, or perhap just wanted to say good morning? Nature has its own beauty, and so far we are still living on the same planet. As we dont have other alternative, I thought sharing our joy and respect with them is essential. Just look at her face, isn't it smiling? To correlate the story with my current interest, by having them surrounding and occassionaly greet us, we have more cheerful environment to live with. Unprecedented beauty comes from unexpected subject.Little penstamon for example is a low bush flower, protruding from rock cavities. It has beautiful violet or pink, fading to white colours. Looking closer to its buds, the immature pollens are usually yellowish white and become dark grey when mature. Penstamon attracts ants, therefore my guess the pollination is either by the help of wind or insects. During my free time, I tried to look closer on the buds and took the images, i.e. this image was taken with a macro lens. Interestingly, several species of penstamon have anti-inflammatory activity and its antioxidant capacity is linked to healing migraine! Secara live, akhirnya saya berhasil membuktikan bahwa stress oksidatif yang dipicu oleh infeksi dinding sel bakteri Gram negatif (lipopolisakarida) dan sitokin pro-inflamasi, diwakili oleh interferon-gamma, mampu membunuh sel syaraf dengan sangat signifikan (lihat gambar di bawah). Dalam kondisi stress dipicu oleh faktor eksternal, sel-sel imun akan memproduksi senyawa-senyawa sitokin pro-inflamasi (selain interferon-gamma) yang pada konsentrasi tertentu akan membunuh sel-sel syaraf. Konsentrasi sitokin ini akan semakin terakumulasi sehingga jumlah sel syaraf yang mati semakin banyak dari hari ke hari. Pada hari pengamatan ke-2, reduksi jumlah sel syaraf mencapai >60% yang dibuktikan dengan perhitungan komputer dengan algoritma tertentu (lihat gambar di bawah).